Whenever two people have built a life together, the decision to go your separate ways gives rise to many difficult issues. If you have minor children, you will confront a whole host of important decisions, from determining how to provide for their needs while effectively co-parenting to working out the nuts and bolts of their day-to-day lives. Financial and property matters add another dimension of complexity to the equation. How do you fairly divide your assets and debts? Who will be responsible for child support, and in what amount? Should one party be entitled to spousal support? These are just a few of the questions involved in divorce and separation. At Resolve Attorney Mediators of Rochester, we’re no strangers to dealing with tough legal issues. In our role as parenting coordinators, for example, we regularly resolve challenging cases that courts send our way. In both divorce and family law matters, confronting difficult issues is a critical part of the process. During mediation, you can expect to address all the options, then talk through which potential solutions make the most sense for your situation. Our problem-solving approach has led to successful outcomes in even the most challenging cases. Drawing on more than 40 years of family law experience, our attorney-mediators know how to help clients find common ground. We’ll invest the time to understand your unique goals and priorities so we can better facilitate better resolutions. When disputes threaten to derail the progress you’ve made, we will help you get back on track to moving forward in a solutions-focused manner. We understand that, when it comes to complex human relationships, there often are no easy answers. Our goal is to foster an open environment where you can feel heard. Learn more about our mediation services by calling 585-256-2109. 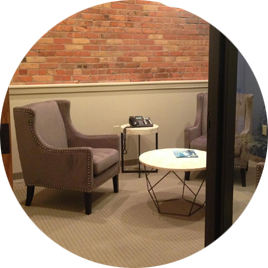 Located in a renovated carriage house in the historic East Avenue District of Rochester, New York, we offer a warm and welcoming environment for resolving disputes. Is Mediation a Good Fit? Find out how our attorney-mediators can guide you on the road ahead. © 2017 by Badain & Crowder, Resolve Attorney Mediators of Rochester. All rights reserved.